The Belleville Senators are pleased to announce details on its Fan Fest which will be free admission and open to the general public. 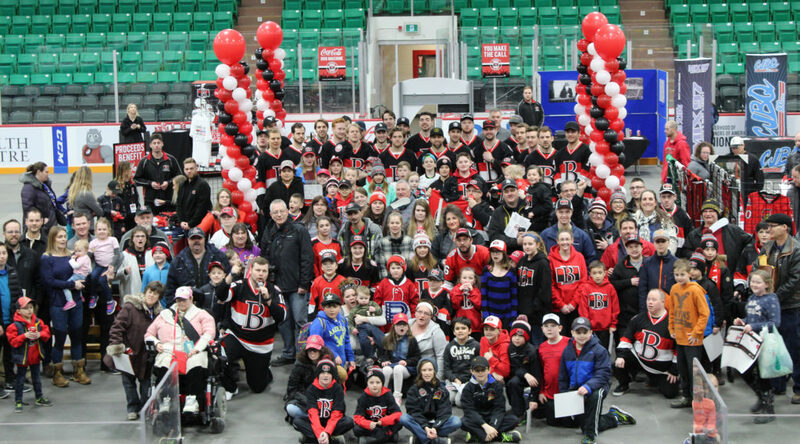 Taking place on Family Day Weekend on Feb. 17 from 10am-1pm inside CAA Arena, fans will have the opportunity to watch a Senators practice between 10-10:30am ahead of the team’s Family Day game on Feb. 18. Post-practice, fans will have the option to skate with a portion of the Senators team from 11am-1pm and take part in a variety of on-ice activities as part of the CAA Community Skate. The remainder of the Sens team will interact with fans on the concourses through a number of interactive games while fans will be able to take pictures with their favourite Sens players and get autographs. Dressing room tours lead by coaching staff will also be available. Tim Hortons will provide complimentary coffee and hot chocolate while the huggable Coca-Cola machine will also be on hand. Free popcorn will be available courtesy of Spectra. Senators merchandise will also be available to purchase while a variety of prizes will be handed out throughout the day. There will also be a special raffle and silent auction. The Senators play games all Family Day weekend around Fan Fest as well. Tickets for the Sens’ Family Package, which includes two tickets, a Sens lunch bag and a signed puck, are available for games on Feb. 15, Feb. 16 and Feb. 18 by clicking here.